It was all blue skies and sunshine for House Republicans in passing their tax bill in the House today by a relatively comfortable 227–205 margin. But there is one cloud on the horizon that could grow larger down the road. Of the 13 Republicans who voted against the bill, 12 are from three-high tax states whose upper-middle-class citizens will be hit pretty hard by the bill’s partial elimination of the deduction for state and local taxes (SALT). That’s twice as many as the six who voted against the budget resolution that set up this tax bill last month on grounds that the SALT deduction might be eliminated. And the SALT revolt has now spread to the California delegation, where Darrell Issa, Tom McClintock, and Dana Rohrabacher voted “nay” today after supporting the budget resolution. There could have been more defections if chief House tax-writer Kevin Brady had not agreed to keep a capped version of the property tax deduction in his bill. He’s also promised to hang tough on that provision in negotiations with the Senate, which at this point is planning to eliminate SALT entirely in its bill. But with the Senate Republicans already in big trouble over the budgetary math of its tax bill, it’s unlikely they will be happy over giving up the roughly $600 billion (over ten years) that going along with the House on property taxes would cost. If a conference report comes back to the House with SALT killed entirely, today’s not-very-threatening rebellion could spread. There are, after all, 28 Republicans from California, New Jersey, and New York. If other GOP factions don’t stay entirely onboard, it wouldn’t take many additional SALT rebels to cause real trouble. In today’s and upcoming votes, moreover, there is real political peril for the GOP. 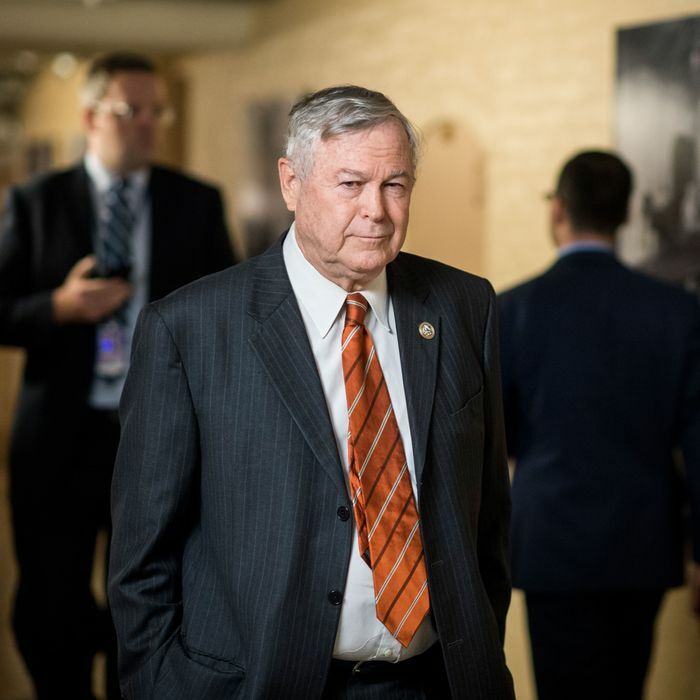 Of the 37 House seats controlled by Republicans that the Cook Political Report deems vulnerable (i.e., the races are either toss-ups or lean toward one party or the other), 11 are in the three affected states. Republicans who are now publicly or privately chortling over their success in screwing over high-tax blue states in this tax bill could be forced to eat their words.